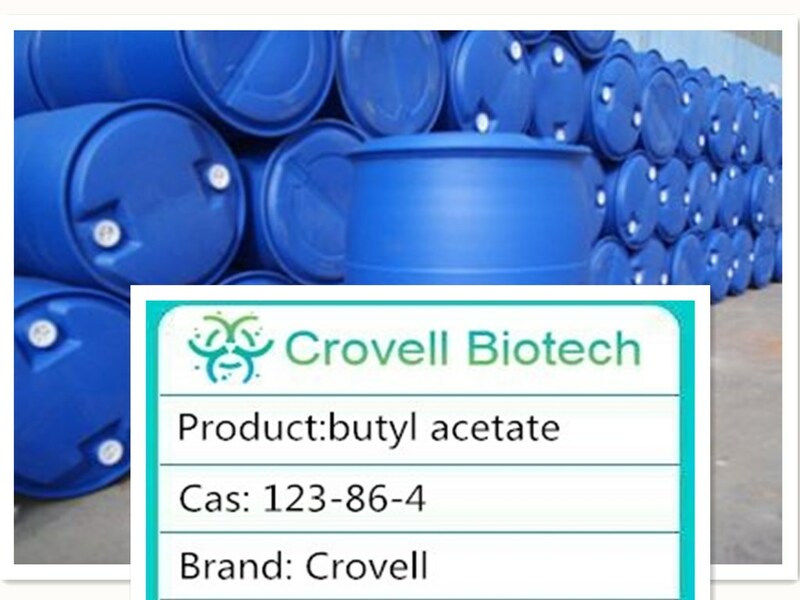 Butyl Acetate-Organic Chemicals-Hebei Guanlang Biotechnology Co.,Ltd. 1. 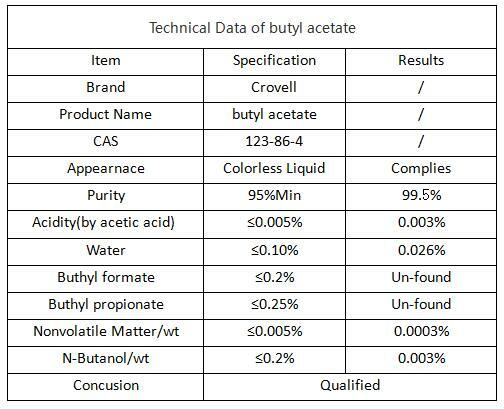 N-Butyl acetate is used as solvent in coating, lacquer, printing ink, adhesive, leatherroid, nitrocellulose, etc. 2. it is the solvent of some cosetics, acting as medium boiling solvent of nail polishes to dissolve the epithelium forming agents, like, nitrocellulose, acrylate and alkyd resins. It also can be used to prepare the remover of nail agents. It is often mixed with ethyl acetate while in use. 3. it is also applied to prepare perfume, it appears in the recipes of apricot, banana, pear and pineapple essences. 4. in petroleum refining ands pharmaceutical industry, it is used as extractant, especially the extractant of some antibiotics. 6. N-Butyl acetate also can be used as analytical reagent verify thalium, stannum and tungsten, and determine molybdenum and rthenium.